If you’ve ever missed the days of couch co-op, Nvidia has come up with the next-best thing for the Internet age. 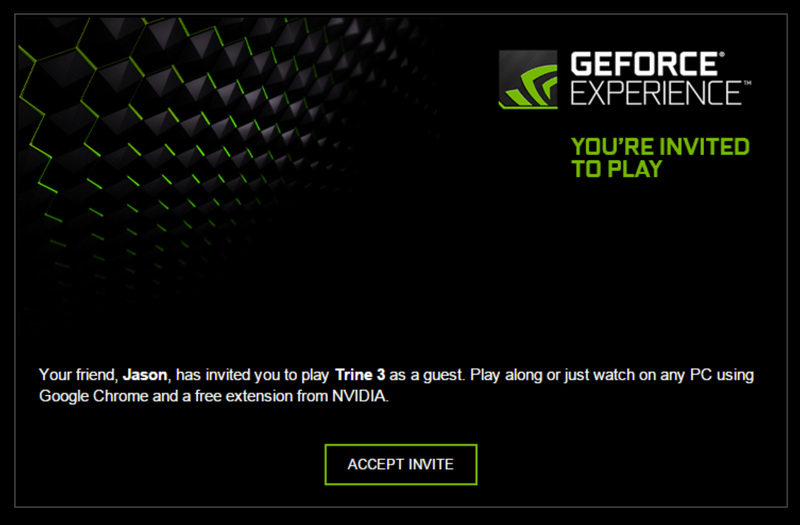 Not content to simply release its new GeForce GTX 950 graphics cards today, Nvidia is also announcing a new feature called GameStream Co-Op for its GeForce Experience PC software. This will allow GeForce users to stream PC games to other laptops and desktops over the Internet, including fairly low-powered machines that don’t have Nvidia graphics cards inside. The guest PC can then watch the live stream, take over the main controls from the host, or commandeer a second controller for same-screen multiplayer games such as Trine, Portal 2, or Rocket League. No additional copy of the game is required, and guests can simply paste a link into the Chrome browser to join the session. Feel like shooting the breeze? GameStream Co-Op supports integrated voice chat capabilities. Why this matters: Of course, streaming a game over the Internet isn’t going to be as reliable or lag-free compared to standard online multiplayer. But that’s not necessarily an option if you want to play with someone who doesn’t own a gaming PC or the necessary games. Think of GameStream Co-Op as the online equivalent of inviting someone to your house to play—only without actually having to entertain them with snacks and beverages. On the host side, the required specs are similar, except that Nvidia requires a GeForce GTX 650 or better graphics card (desktop-only for now, with notebook support coming later) and 7 Mbps of upstream bandwidth. Streaming should work with any game that runs in fullscreen mode with DirectX 9 or higher. The upcoming GeForce Experience update will also add a new overlay for video capture and streaming (pictured at top), accessible by pressing Alt+Z. 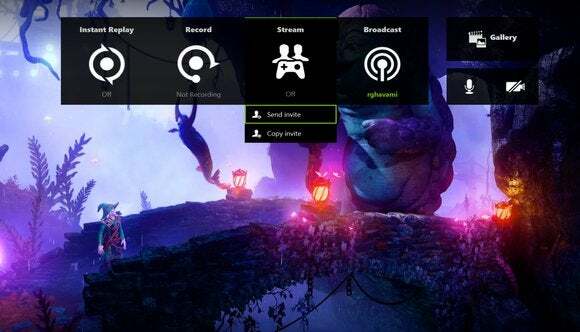 Through this menu, users can set up DVR-style recording of the last 20 minutes of play, manually record an entire play session, broadcast the session to Twitch, and initiate a GameStream Co-op session. 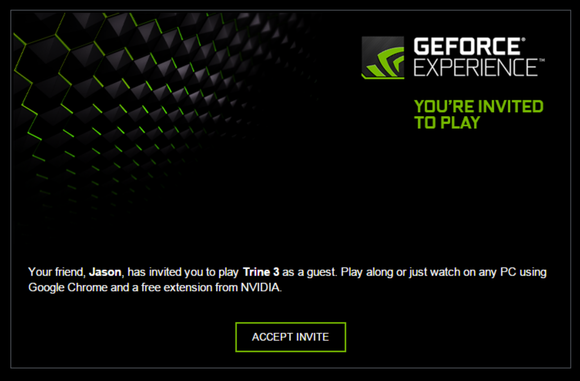 The GeForce Experience update is launching in beta sometime in September.